Your time is valuable and leaving your work place to take training is not always possible. 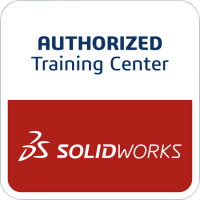 Now for just a few hours a day you can take live Certified SOLIDWORKS courses over the web. Just about every course is available as live online training, including our wide variety of SOLIDWORKS training courses. Plus our popular GD&T fundamentals training is also available online. Training is delivered on a live interactive learning environment where you can ask questions, get immediate answers from the instructor, and learn hands-on with SOLIDWORKS exercise files. It's convenient and allows for little disruption to your working day. Live Online Training Courses are 3 or 4 hours per day. Certified SOLIDWORKS Instructors pass on their experience and provide best practices and tips. With recorded videos customers are often not as focused on the training and skip exercises; plus with live online training the instructor is available to provide help or answer your questions. Get help by virtually raising your hand via the online training system, and privately chat with the instructor. Just like our regular classroom based training courses you will receive a certificate when you have completed a course. Allowing you to show that you know how to use SOLIDWORKS! "I am in process of taking a SOLIDWORKS Online Training course and like the ability to do that rather than travel to Javelin to take the course, additionally it will make it easier in the future to continue to take additional training in this fashion. I am happy with the help Javelin has given us." "The method of instruction in teaching SOLIDWORKS Essentials was very effective. Each lesson was informative and complemented with time for practice in the form of exercises that reinforced the skills that were clearly demonstrated during lecture time. Extremely patient, the instructor always made sure to answer questions and clarify answers. I am certainly better prepared with more skills and more efficient CAD techniques." At what time of day is the online training? SOLIDWORKS online training is convenient and allows for little disruption to your working day. Online courses are often 3 hour per day from 1:00 PM to 4:00 PM (ET). Online Essentials courses are 4 hour per day from 11:00 AM to 4:00 PM (ET) with a 1 hour lunch break at 12:00 PM. Will I receive a certificate after completing a course? Yes like our classroom training you will receive a certificate when the course has been completed. Will I receive a training manual? Yes, a SOLIDWORKS training manual is provided for applicable courses. Do I need a license of SOLIDWORKS to take the training? Yes, in order to carry out the exercise portion of the training you will need to have SOLIDWORKS available on your machine. Are the training sessions recorded? No, the training sessions are live and are not recorded. Can multiple people sit in on the same machine for training? No, SOLIDWORKS Online Training is designed specifically for individuals who will need to log in and interact with the trainer whilst taking the training. SOLIDWORKS Assembly Modeling class not listed for your required date? Get a quote for online training and let us know the date that would suit your schedule. Interested in SOLIDWORKS Online Training?